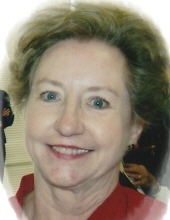 Mrs. Janice Casteel Eaton, age 78 of Athens, AL passed away on Sunday, April 7, 2019 at Huntsville Hospital. Mrs. Eaton was born on November 2, 1940 in Limestone County to Hollace Casteel and Juanita Browning Casteel. She was preceded in death by her parents and husband, William Eaton. Mrs. Eaton is survived by her sons, Greg Eaton and wife, Lisa, Mike Eaton and Eric Eaton and wife, Ginger; grandchildren, Jerrica Eaton, Jordan Eaton, Hannah Eaton and Connor Eaton; three sisters, Dorothy Eaton, Nancy Sellers and husband, Larry and Wanda McLemore; one brother John Casteel and wife Kay. Mrs. Eaton enjoyed working in her flower beds and was an avid Alabama Football and Atlanta Braves fan. Services for Mrs. Eaton will be at 2:00PM on Wednesday, April 10, 2019 at Limestone Chapel Funeral Home with Gerome Hilliard and Tim Hall officiating. The family will receive friends from 5:00-8:00PM on Tuesday, April 9, 2019 at the funeral home. Burial will be in Limestone Memorial Gardens. Pallbearers are Tim Eaton, Troy Eaton, Brandon McLemore, Douglas Eaton, Leslie Bailey and Randy Bailey. To send flowers or a remembrance gift to the family of Janice Casteel Eaton, please visit our Tribute Store. "Email Address" would like to share the life celebration of Janice Casteel Eaton. Click on the "link" to go to share a favorite memory or leave a condolence message for the family.